9 p.m. till Midnight at The Cameron House, 408 Queen St. W., Queen-Spadina, in the backroom. Paper provided. Bring your own pens. – For a change of pace we’re experimenting with an afternoon jam! 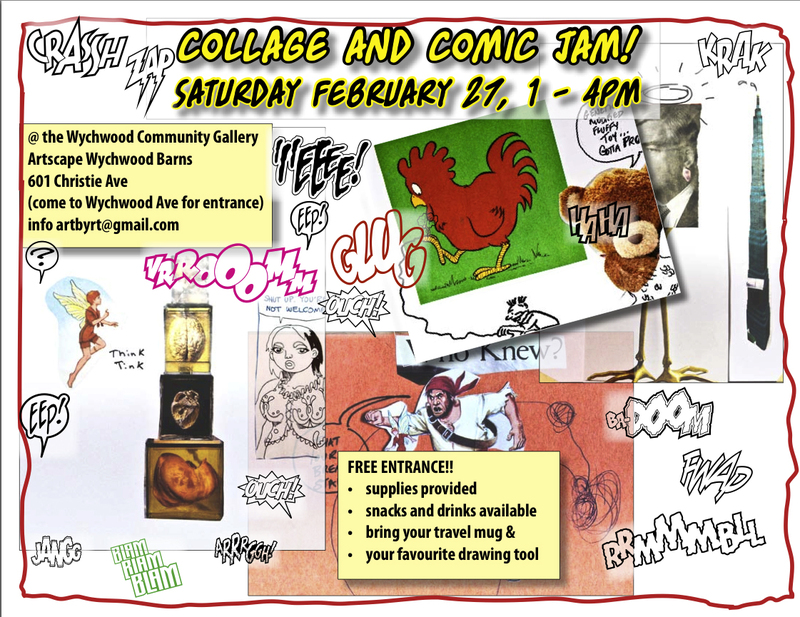 Saturday, February 27th, 1-4 p.m. at the Wychwood Community Gallery, 601 Christie Ave. (use the Wychwood Ave. entrance) Wychwood Barns, Community Gallery. A short walk from St. Clair West Subway Station. There’ll be a lot of cutting and pasting. This entry was posted in Gene Day Award, General Announcements, Happenings, Press Releases by Robert Haines. Bookmark the permalink.